Priory has some of the finest facilities of any school in Lancashire. An on-going refurbishment programme has allowed the school to develop and maintain state of the art facilities to aid learning and teaching within our school. The year 2000 saw the start of massive change at Priory. In recognition of our new status as a Specialist Technology College, 2 purpose built, innovative ICT rooms were built. Following this in 2003, the Science facilities were increased two fold to include 3 new purpose built laboratories and 1 room devoted to the use of ICT in Science. 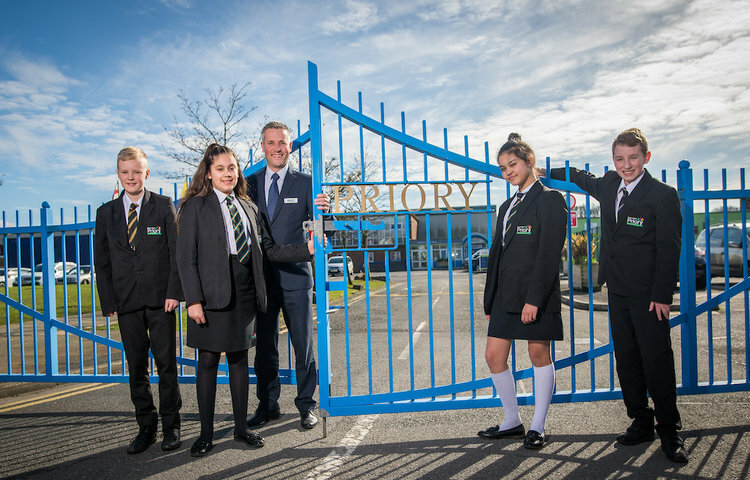 In 2005 Priory became the first school in Lancashire to gain a second specialism - Sport - and from this development we linked the Sports Hall to a new PE classroom to allow students to connect the practical and theoretical aspects of Sport more easily. 2008 saw the next big leap in the facilities at Priory. A brand new multimillion pound Technology block was created that is the envy of many technology teachers and their students across the country. Innovative design, linked to a creative use of technology, has produced a building that in itself is a teaching resource. Running alongside these wonderful new facilities, all the Maths and English classrooms have been enlarged, re-equipped and completely changed to produce modern, bright and creative learning spaces with all the relevant technologies. Additionally the dining room had a complete overhaul at this time to improve the eating experience of all our students. 2010 then saw a complete change to the resource centre alongside our advice and guidance area, with new redesigned rooms to support young people through the difficult choice process for post 16. 2010 also saw the completion of the new MUGA (Multi Use Games Area) and during 2011 a new dance studio was constructed in the school hall. Plans are now afoot to develop the last remaining area of school that students use - Humanities and Languages. Again new, bright, open learning spaces is the goal, with expanded use of multimedia and all the newer technologies.